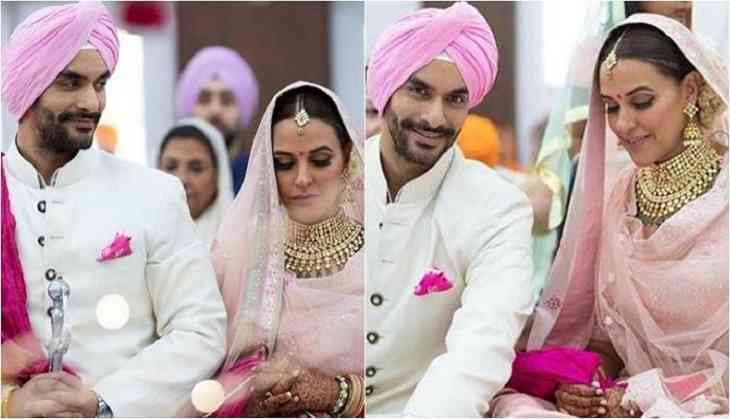 After the marriage ofnBollywood actress Sonam Kapoor and Anand Ahuja, a lot of news related to other celebrity marriages started to pour in and one amongst those was the wedding of Roadies fame Neha Dhupia and Bollywood actor Angad Bedi. 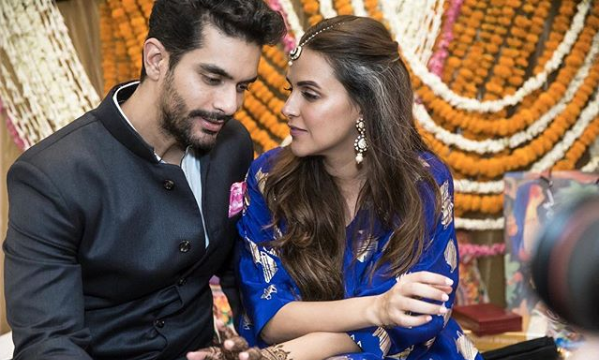 Their marriage came as a surprise to everyone, maybe because everyone though Neha was in no mood to marry and Angad was dating Bigg Boss contestant Nora Fatehi. We were not over yet with Sonam and Anand's pictures yet that suddenly Angad and Neha's wedding pictures took over. But soon people started wondering as to why they opted for a hush-hush wedding and not a celebrity high-profile wedding. 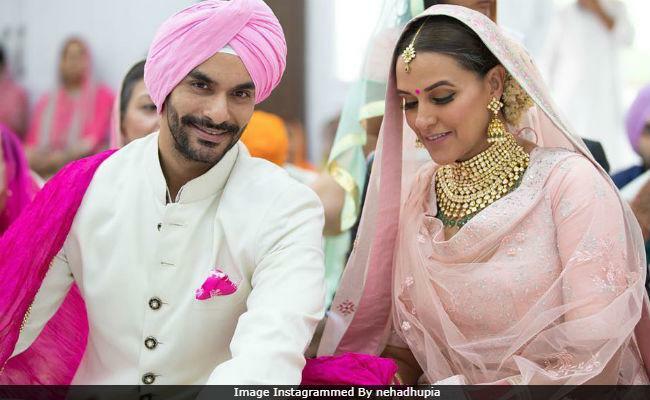 Some people on the social media also started claiming that the reason behind their sudden marriage was Neha's pregnancy. These reports started becoming true when people started to say that this is probably the reason why Neha chose to wear loose dresses during her wedding functions. A source also told a leading daily that the news will come out soon. The source was quoted as saying, “Neha is pregnant and the news will come out in a while. The reason why they got married so quickly was because of this.” This is the reason why a quick and private marriage took place. But when such rumors started to spread, Neha's father Pradip Dhupia came infront of the media to refuse all the rumors and said, "No no.. there is no such thing at all. Since the two got married early, people are thinking otherwise. But there is no such thing. People will keep talking about things and spread rumors as per their wish." Pradip further said that it was the mutual decission between both the families to keep their marriage a private affair since they both were really busy in their work and did not get time to make the wedding arrangements because of their work commitments.also He further said, "We knew both were good friends. We were actually waiting for them to tell us that they want to get married. So when they finally decided, we gave our nod to their relationship." The couple too gave a statement about their secret married that read as, “Marrying your best friend is one of the greatest feelings in the world, and we are extremely fortunate to have found love in each other. It has been a beautiful journey knowing each other and after formalizing the wedding earlier this year, today, we exchanged our vows in a beautifully simple, private and intimate Anand Karaj ceremony in Delhi. We look forward to celebrating and sharing this special moment with our friends and colleagues in Mumbai in the next couple of weeks. Thank you for showering us with so much love. Your blessings have truly made this day so much more special”. Well, what was the real reason why they married but we are super happy that they did!